MRS holdings Ltd, oil marketing company of Nigerian billionaire, Sayyu Dantata, and international oil giant, Chevron, are at the centre of a N360 billion [$1 billion] secretive oil deal that is raising fresh tax avoidance worries in Nigeria and across West Africa, new details from the Panama Papers reveal. Details of this tax scheme emerged out of fresh evaluation of the role of business entities in the extractive industry of the West African sub-region within the scope of the 2016 groundbreaking investigations around the Panama Papers. 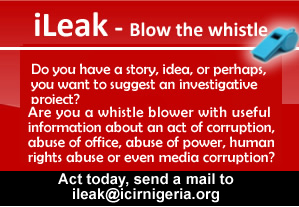 This new investigative initiative is tagged West Africa Leaks. West Africa Leaks is the brainchild of a collaboration between Premium Times Centre for Investigative Journalism, the International Consortium of Investigative Journalists (ICIJ) and The Norbert Zongo Cell/Center for Investigative Journalism (Cenozo). It is the largest-ever regional collaboration of investigative journalists in West Africa. The collaboration has brought in new West African partners from Chad, Niger, Benin, Cote d’Ivoire, Ghana, Liberia and Senegal. This collaboration is expected to strengthen cross border investigations as well as strengthen many newsrooms’ reporting in the region. Businesspeople and companies in Nigeria and across the globe use or have been using offshore companies to run their businesses. Although some are transparent in their businesses and tax compliance, others use it as a tool to run away from tax responsibilities. Mr. Dantata and his MRS company are no strangers to the convoluted operations of tax havens. To effect this particular billion-dollar transaction, MRS, alongside Petroci Holdings of Cote D’Ivoire, acquired Chevron Nigeria Holdings Limited. Chevron Nigeria Holding Limited, a Bermudian registered company, in turn owns 60 per cent of Chevron Oil Nigeria. The end result of the transaction was a Nigerian entity acquiring another Nigerian company via two shell companies in-between. Tax experts still working on this transaction who cannot be identified for this reporting now, say the only business reason for this otherwise complicated corporate structure is a tax exploit. The consortium used to acquire Chevron’s entire downstream assets is a Panamanian registered company that goes by the name of Corlay Global SA. The consortium is owned by MRS holdings, which is a Nigerian registered company, and Petroci holdings, an Ivorian registered company. Corlay Global SA is the corporate war horse with the mission to string multiple prospects in the oil sector into the emerging colossus of the MRS empire. Thus, it was used to buy Chevron downstream companies in Texaco Cameroun SA (100 per cent), Chevron Nigeria Holdings Ltd (100 per cent), Chevron Benin SA (100 per cent), Chevron Congo SA (100 per cent), Chevron Côte D’Ivoire (100 per cent) and Chevron Togo SA (65 per cent). The six transactions, summing up to almost $1 billion, and mammoth as they are, would be subject to multiple tax regimes depending on the different laws of the six countries. In Nigeria, for instance, no fewer than six taxes would apply: company income tax, education tax, PAYE, Value added tax, capital gains tax and withholding tax. Tax experts working with PREMIUM TIMES on this investigation are convinced that the transaction skillfully avoided the withholding tax regime. Federal tax authorities have refused to speak on the record on this issue. Several telephone calls, and FOIA requests to the Nigerian Federal Inland Revenue Service, FIRS, have offered no responses. Chevron and MRS’ position on the status of this transaction are still being awaited. While MRS declared that the acquisition of the entire share capital of Chevron Nigeria Holdings Limited was done in partnership with Petroci Holding as a consortium named Corlay Global SA, tax compliance questions persist. Documents have shown that MRS is a majority shareholder of Corlay Global SA, which gives MRS decisive powers in running the company. Another document shows that Mr. Dantata is the sole signatory to Corlay Global SA. MRS responses were unavailable at the time of filing this report, when they come, they will help shed light on the yet unproven claim if Mr. Dantata is the sole owner of Corlay Global SA, and if he also has stakes in Petroci Holding. The path to the mega MRS acquisition dates officially to November 3, 2008, when Corlay Global SA, through a board resolution, discussed the acquisition of the six companies and posed the challenge of how to source funding to execute the transaction. The resolution was, in corporate terms, the first documented evidence of the true identity of Corlay Global SA (wholly owned by M.R.S Holdings and Société nationale d’Opérations Pétrolières Côte d’Ivoire trading under the name “Petroci”) as the special purpose vehicle for acquiring 100 per cent of five Chevron companies (Cameroon, Nigeria, Benin, Congo and Côte d’Ivoire). It also suggested that with respect to the sixth company, Chevron Togo SA, only 65 per cent of the shares would be purchased. However, further documents also show that this 65 per cent of Chevron Togo ultimately constitutes 100 per cent of the shareholding by Chevron Africa in the equity capital of Chevron Togo. Regarding the animate clout of real corporate power, however, Corlay also assigned and gave full signatory authority and ability to “act alone or together for the company, in the company’s name, place, behalf and stead” to Mr. Sayyu Dantata (Chairman MRS holding, Kassoum Fadouki (Former managing director of Petroci holding) and Patrice Alberti (a man that fronts for MRS Holding). Many months after the bridge facility agreement, on May 29, 2009, Corlay Global SA granted Mr Dantata the general power and individual signatory right of Corlay Global SA. That raises a question if Petroci Holding was really a partner of MRS Holding in the acquisition of the Chevron downstream assets, or if Petroci Holding was serving as a front for MRS Holding right from the beginning. Every year, companies with or aspiring international footprints use complicated gimmicks to shift earnings and capital gains to subsidiaries in offshore tax havens—countries with minimal or no taxes—in order to reduce their tax liabilities by billions of Naira. Tax haven abusers benefit from Nigeria’s markets, public infrastructure, workforce and security — all supported in one way or another by taxpayers monies. But they use tax havens to escape supporting these public structures and benefits. However, beyond tax moralities, the critical question has always been whether the Nigerian tax payers using offshore tax shelters had paid all applicable taxes prior to the transfer of funds or assets to a tax shelter. Also, owners of these shell companies used in such schemes arguably claim that they are legal. They only become criminal when they are used for criminal purposes such as tax evasion or money laundering. Therefore, the onus is on the Federal Inland Revenue Service and other authorities is to establish whether MRS Oil had unpaid back taxes and/or whether one or both offshore entities engaged in tax evasion or money laundering in the scheme set out above. Under existing Nigerian Tax Laws, the Capital Gains Tax (CGT) Act, 1990 is one piece of tax legislation that may have been circumvented by this acquisition. CGT is a tax on Capital Gains or Profits. Based on purchase consideration of $739 million and then exchange rate of 160 Naira/Dollar, the acquisition value could be put at N118 billion. Using market data of Chevron Oil Nigeria plc: Q3 September, 2009 results, put out on November 24, 2009 stated that; the company had 253,988,672 Ordinary Shares outstanding at a Price of N66.47 as at then grossing 16.8 billion naira, 60 per cent of which represents about 10 billion Naira. Conservatively put, the capital gains amounts to over 100 billion and CGT at 10 per cent flat would be N10 billion in tax revenues.